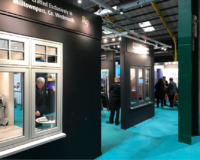 With over 40 years experience Wright Windows have developed an unrivaled experience in manufacture and installation of windows and doors in PVC, Timber, Alu-clad, Aluminium and Flush Sash. To improve the BER (Building Energy Rating) of your home, Wright Windows can supply Energy efficient windows and doors from A rated through to passive standard, delivering exceptional energy performance. Dear Sir, Just a short note to let you know your company has just finished replacing my windows (16 no) and rear door (1 no) today. I would like to thank you for the absolutely brilliant service from John Mulholland and the two lads Austin and Max who installed the windows/door. A sincere thank you for looking after us so well. We are thrilled with our new windows and can’t fault their installation; Frank and his colleague Declan were terrific. So, a big thank you to all. Just a short email to thank your company for the really professional job you did in replacing 11 windows and a patio door in my house over the past two days. The experience has been really positive -from the team who measured up to the team who installed. I just wanted to pass on my gratitude at the fantastic work that your fitters did on a porch that was recently fitted in my home in Butterstream Manor, Trim. The quality of the work is amazing and I will certainly be recommending your company to family and friends.All the best for the new year. I would just like to say that we continue to be more than impressed with the service from your company. Further to my e-mail below, I immediately got a call from Donal who said he would send someone to see our windows. He was very thorough and helpful with his follow up ensuring that it was a time that suited us. Contact us for more information on any of our products or request a quotation.